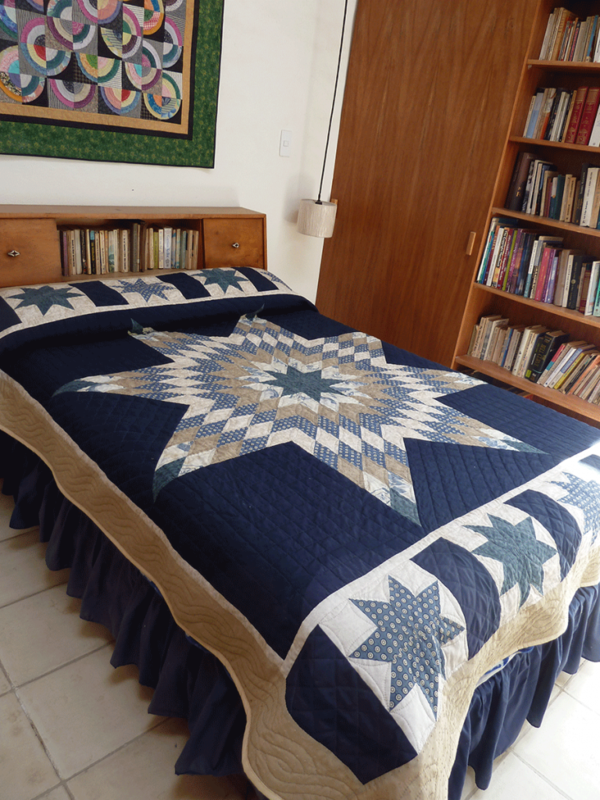 In previous posts I had erroneously stated I started this quilt in 2004. Looking over my notes, I now see I actually started in March 2003. So it’s only taken me 15 years to finish it! In the end, I decided finished was better than perfect. I’m so sick and tired of my own indecision (and not really liking this quilt anymore) so no more fooling around with it. I’ve left it as is (decided against including an applique design), and just quilted the borders and bound it… and that’s that. 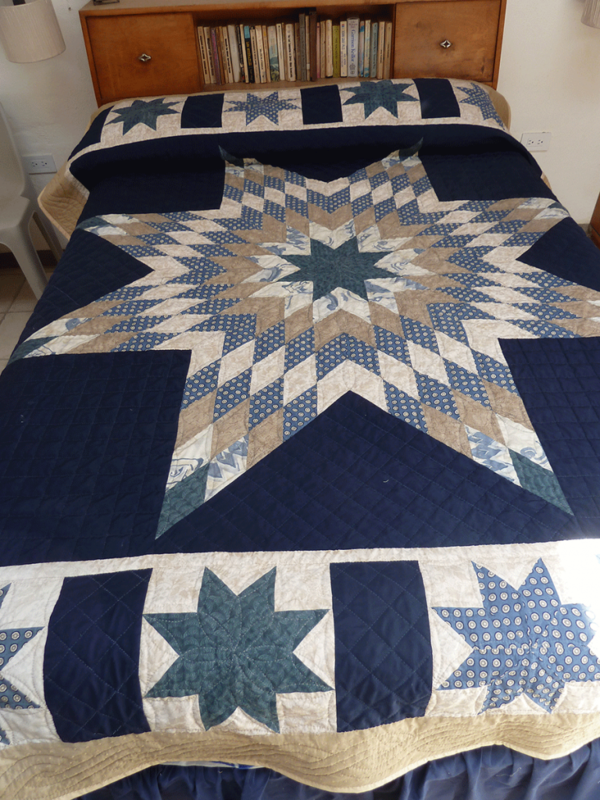 Washed and dried, it has now found its new home and my grandson’s bed. I hope he likes it when he next comes to stay.